Norway, AD 785 - a vow of vengeance must be kept . . . Sigurd Haraldarson has proved himself a great warrior . . . and a dangerous enemy. He has gone a long way towards avenging the murder of his family. And yet the oath-breaker King Gorm, who betrayed Sigurd's father, still lives. And so long as he draws breath, the scales remain unbalanced. The sacred vow to avenge his family burns in Sigurd's veins, but he must be patient and bide his time. He knows that he and his band of warriors are not yet strong enough to confront the treacherous king. They need silver, they need more spear-brothers to rally to the young Viking's banner - but more than these, they need to win fame upon the battlefield. And so the fellowship venture west, to Sweden, to fight as mercenaries. And it is there - in the face of betrayal and bloodshed, on a journey that will take him all too close to the halls of Valhalla - that Sigurd's destiny will be forged. There, in the inferno of winter's fire . . . 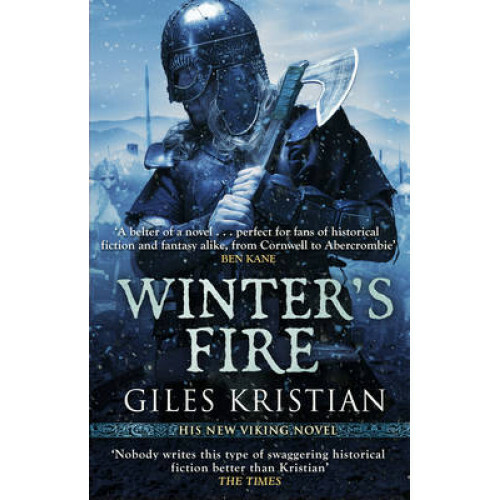 The Vikings return in this thrilling, thunderous sequel to Giles Kristian's bestselling God of Vengeance.